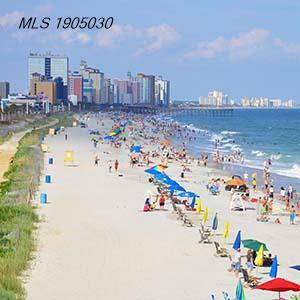 Ocean Blue is one of the most luxurious Myrtle Beach condos in the Grand Strand marketplace. If you're considering purchasing Myrtle Beach real estate, you owe it to yourself to take a look at Ocean Blue. Conveniently located on the oceanfront on the south end of Myrtle Beach, Ocean Blue is just minutes away from the Myrtle Beach International Airport, the popular shopping and dining complex The Market Common and a variety of other area attractions and amusements. Ocean Blue is a unique 36-unit oceanfront high-rise offering luxuriously appointed 4-bedroom condo units with oceanfront views. The units feature granite counter tops in all kitchens and bathrooms, stainless steel appliances and tiled back splashes. The master bath boasts a double sink vanity with a separate shower and a Jacuzzi tub. These condo units are truly "must sees" to fully appreciate their beauty and elegance. Welcome to the official CENTURY 21 Strand Group website for Ocean Blue condominium sales.